Magical Kenya 4x4 Safari & Mombasa Beach Twin Centre. Book today at Tropical Sky. Delve into captivating landscapes and spot a plethora of alluring wildlife during a seven night Magical Kenya safari tour. You’ll make your way through multiple game reserves, all the while looking out for the Big Five – as well as many more magnificent animals. You’ll have an experience to remember in the depths of Kenya. 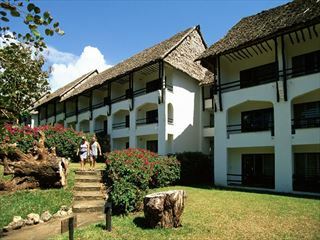 Afterwards you’ll be heading to Sarova Whitesands Beach Resort in Mombasa for seven nights. 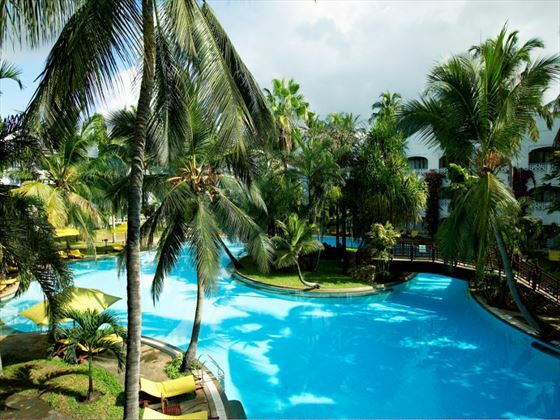 A stunning coastline resort with incredible ocean views, this will be the perfect place to relax. 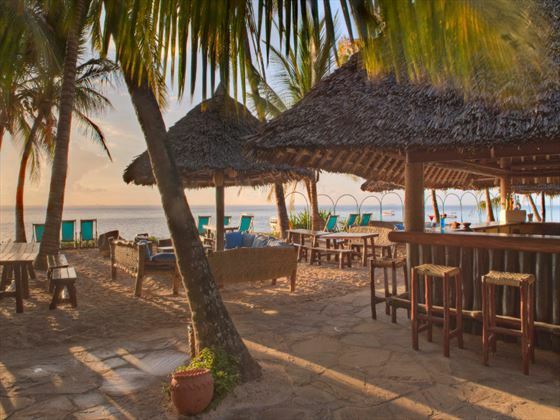 Choose from three delicious restaurants, sunbathe on the gorgeous Bamburi Beach, or even take part in the resort’s water sports and diving lessons. After journeying to Jomo Kenyatta International Airport you’ll be transferred to the gorgeous, luxury Tribe Hotel. This afternoon you can either fully unwind in your comfortable room, or get started early and head to the Giraffe Sanctuary. Today you’ll be heading north towards Samburu National Reserve in your 4x4 pop-up roof safari vehicle, which takes approximately six hours. It'll then be time for a leisurely lunch before getting stuck in and enjoying your first game drive of the trip during the afternoon. 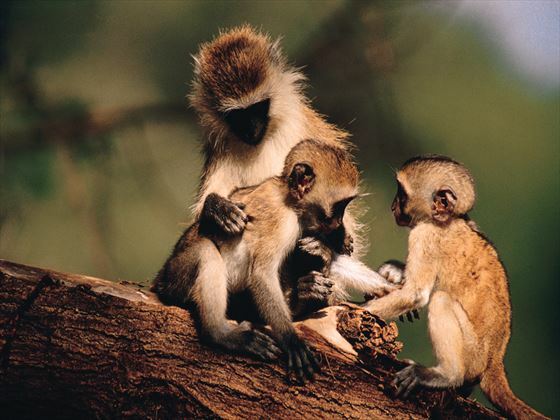 Your third day is a busy one, with three exciting game drives throughout the whole day. Spot wildlife as they wake in the morning, meander through before lunchtime to see the Big Five grazing, and then head back again in the afternoon to spot even more wildlife. You’ll be heading to a new game reserve today, with a four and a half hour drive to the beautiful plains of Aberdare National Park. 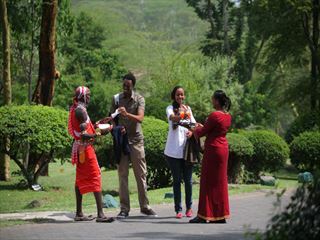 Enjoy a delicious lunch in the Aberdare Country Club before being transferred to your lodge for the evening. Overlooking the animal’s waterhole, the Ark Tree Lodge will give you a completely unique experience. Dinner will be served here, too. 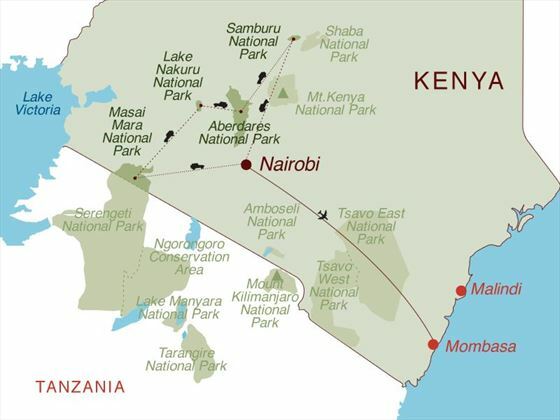 Enjoy a four hour drive before spotting rhino at Lake Nakuru National Park. 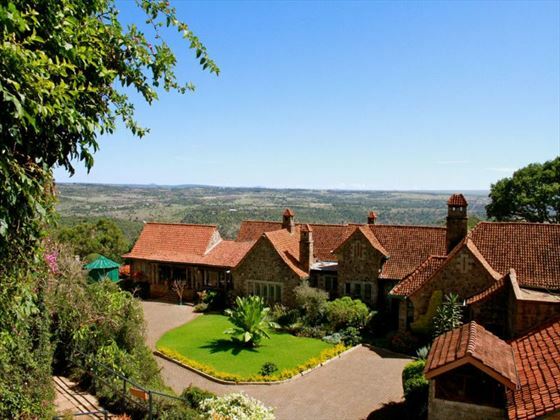 Afterwards you’ll check in to Sarova Lion Hill Game Lodge, which overlooks the stunning lake and the pink flurry of flamingos nearby, before enjoying an ambling afternoon game drive. 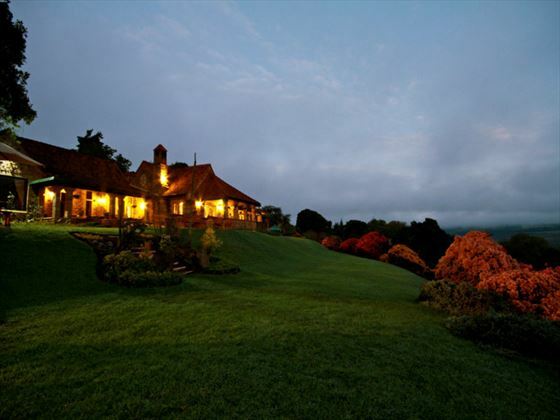 The lush plains of Masai Mara National Game Reserve are your next stop, with the cosy and comfortable Keekorok Lodge as your base for the day. Enjoy a tasty lunch in your lodge before journeying through the reserve in search of the elusive Big Five. 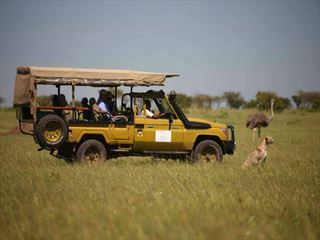 Wake early with beautiful views of the sun set and saunter through waking wildlife on your first safari of the day. After breakfast you’ll be able to spot stunning birds and more majestic mammals during your mid-morning drive, and there’s even another afternoon drive, too. 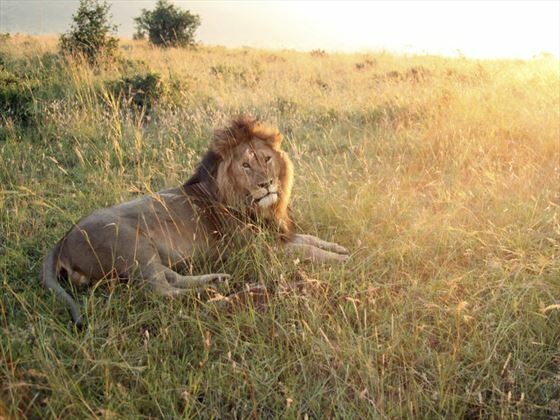 Take in every moment during your last morning game drive, en-route to Jomo Kenyatta International Airport. 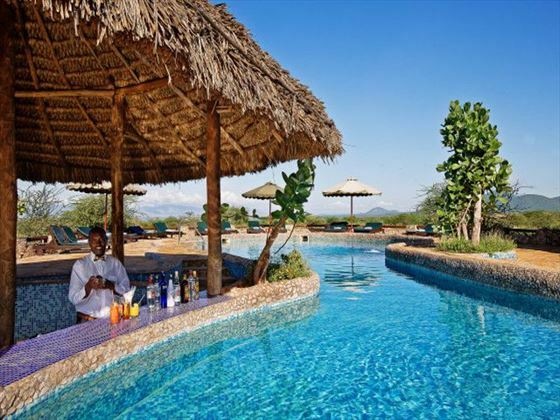 From there you’ll be taking a flight to your new, stunning oasis – Sarova Whitesands Beach Resort in Mombasa, where you’ll be relaxing for seven nights. With stunning ocean views and beautiful stretches of white sand at its front door, Sarova Whitesands Beach Resort is the perfect place to wind down and relax. 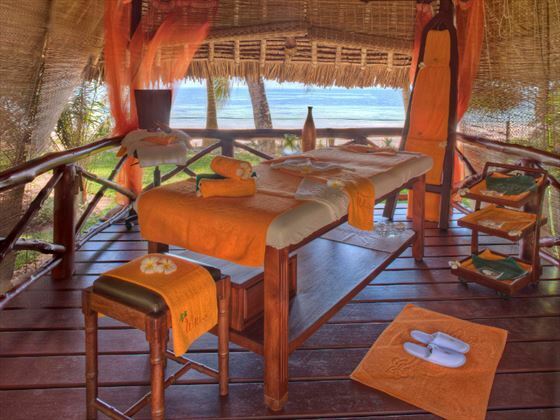 Sunbathe on the sublime Bamburi Beach and get pampered at the beauty parlour, or keep the adventure going with exhilarating water sports and the resort’s very own diving centre. 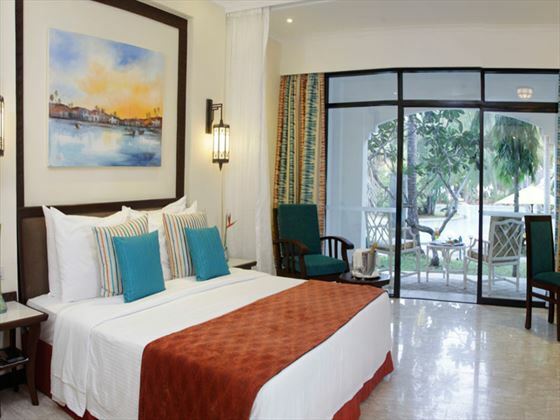 No matter how you want to spend your next week, Sarova Whitesands Beach Resort will be perfect for it.